Yesterday’s reading cover a lot of ground. 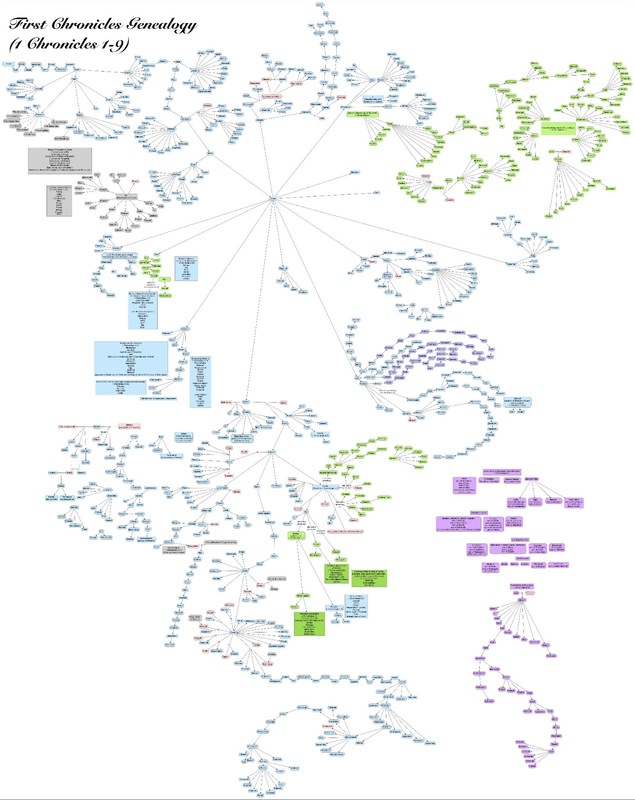 I tried looking up family tree images of the names in Chronicles….it gets quite complex very quickly. I found one interesting quote, which relates back to Genesis 4&5…. Well, Adam and Eve did have other “sons and daughters” [Genesis 5:5]. I think the The Condensed Biblical Cyclopedia tried to spare us the uncomfortable imagery children of Cain and Seth mating with their uncles and aunts, the children of Adam and Eve, with this hokey explanation that the children of Seth (“sons of God”) mated with the Children of Cain (“daughters of men”) [Genesis 6:2]. Both are hard to read, try to find the high resolution versions. Besides the 1 Chronicles lists, the Hebrews Chapter is amazing. As is this famous Amos 2 passage, about Judgment on Judah.